We make available different types of Aluminium Ingots such as Cheap Aluminum Ingots, Pure Aluminum Ingots and Primary Aluminum Ingots. We share glorious credentials in the list of top Exporters and Suppliers of Aluminium Ingots from Thailand. The entire range of our Aluminium Ingots is sourced from the reliable sources in the market. Our vendors manufacture these ingots using high-grade aluminum and the latest techniques. We supply Aluminium Ingots at market-leading prices. 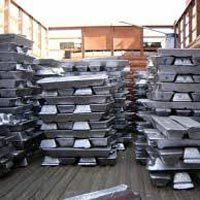 Being trusted Aluminium Ingots Suppliers, we follow a strict delivery schedule and ensure that the customers get their orders on time always. Contact us at the earliest to avail the Aluminum Ingots at competitive rates.